A few passing clouds. Low 59F. Winds light and variable. 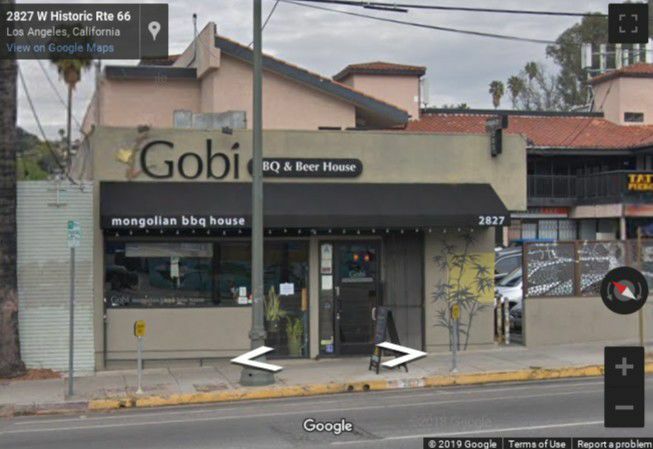 Silver Lake – The old site of Gobi Mongolian BBQ on Sunset Boulevard won’t stay empty for long. La Pergoletta Italian restaurant and deli in Los Feliz confirmed it is opening another location there. It was in mid-November that Gobi Mongolian unexpectedly announced it would be closing after about a decade in business. La Pergoletta’s cuisine includes a variety of handmade pastas. Its new location will be at 2827 W Sunset Blvd., in the mall by Silver Lake Boulevard.